Not to be outdone by ultra-thin gaming laptops like the Razer Blade and Origin's EVO 15-S, Alienware announced the Alienware 13 on Friday. And, well, Alienware's still being outdone by Razer and Origin when it comes to ultra-thin laptops, but at least the race is a little closer. 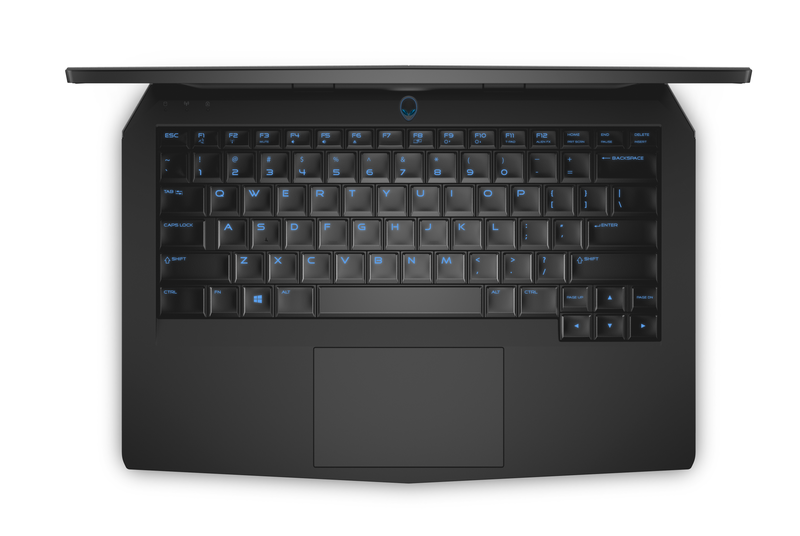 Last year's low-end Alienware laptop, the Alienware 14, was a chunky 1.6-inch thick, 6 lb. behemoth, reminiscent of the way gaming laptops used to be—you know, more of a "portable" desktop machine than an actual laptop. I got a bit of hands-on time with the Alienware 13 this week and it's quite a difference—merely an inch thick and 4.5 pounds. That's still not quite as thin as the 0.7" Razer Blade, but it's a massive improvement compared to last year. 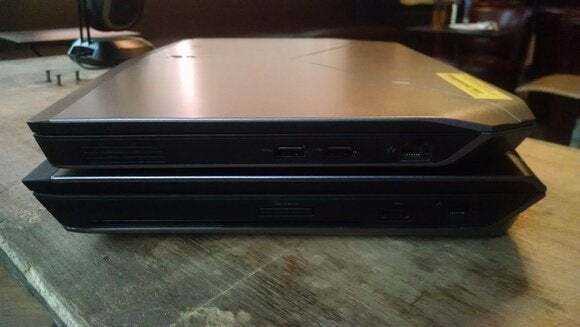 Even the old 11-inch Alienware M11x R3 wasn't this svelte. The Alienware 13 (top) versus last year's 14. It may not look like much of a change in this picture, but trust me—that half an inch of thickness makes a big difference. 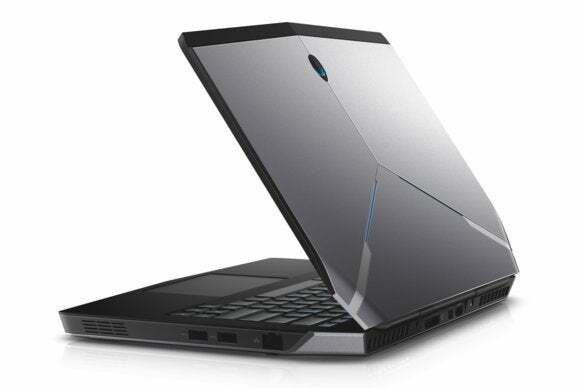 Specs-wise, the Alienware 13 features an Intel Core processor (if it's like last year, expect to choose between i5 and i7 models) and an Nvidia GeForce GTX 860M graphics card (which, again, is the same performance tier as last year). You also get to choose between three different screens—the low end model comes with a 1366x768 TN-panel display, the mid-tier with a 1920x1080 IPS display, and the high-end with a touch-integrated 2560x1440 IPS display. Unfortunately the graphics card doesn't change even as you ramp up the resolution, meaning graphics performance will be bit worse at that 2560x1440 resolution than it will at 1366x768, since the GTX 860M will need to fill all those extra pixels. As far as the 860M itself, that's the same card featured in the Razer Blade Pro, which we benchmarked at 70.4 frames per second at 1920x1080, medium quality in BioShock Infinite. That's a respectable output, though not very future-proof. On the other hand, the baseline Alienware 13 (presumably) costs a lot less than the $2,300 Blade Pro. All in all the Alienware 13 looks to be a decent little gaming machine, especially if it comes in right around the same $1100 price point as the current-generation Alienware 14. It's comparable in many ways to Lenovo's Y50 line, though the plastic casing on the Alienware machine feels somewhat chintzy by comparison. Of course, you could spend some more money for something like the Blade or the EVO15-S and eke a bit more power out of your portable gaming, but the Alienware 13 is a huge form factor improvement over last year's model and seems like a solid entry-level gaming laptop. We'll have a review for you (complete with our own benchmarks) as soon as we get our hands on the final retail model.